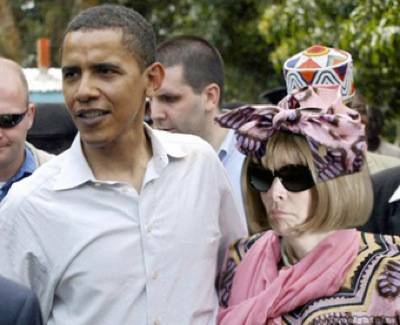 Last year, Vogue editor and fashion icon Anna Wintour hosted a $30,000-a-head dinner for President Barack Obama in her Sullivan Street home. The gathering resulted in section of the West Village being blocked off by the police and, this year, Wintour plans to even out-do that. This year’s fabulous fundraising soiree will come with a price tag of $71,600 per couple and will be held at movie producer bigwig Harvey Weinstein’s West Village penthouse. Although the event is being described as an “intimate small dinner and discussion,” we know better than to believe it is so humble. The August 11 affair will benefit President Obama’s re-election campaign and promises to be fabulous with guests like Gwyneth Paltrow, Chris Martin, Tory Burch, Quentin Tarantino, and Alicia Keys said to be joining the Obamas for the evening.